Winter is here with a vengeance and with temperatures dropping to single digit numbers it makes using a touchscreen device while keeping your hands warm quite tricky for those having to brave the elements each day. Indeed as a regular Ingress player it makes walking around with a touchscreen device in the wilds of winter quite chilling. Up until now i have been using “pick pocket” gloves (gloves with the finger tips missing) to try and keep my hands warm but still being able to use a touchscreen all be it at the expense of cold fingertips, While they do the job they still leave your fingers out in the cold! 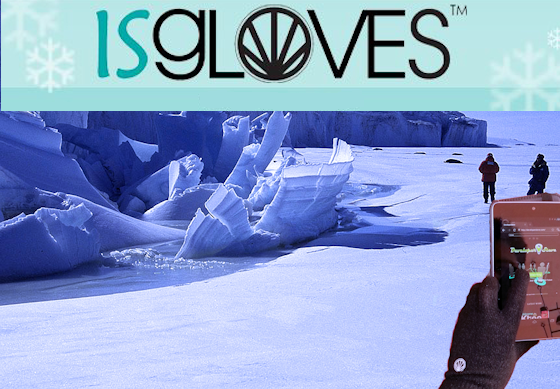 Touchscreen gloves have been around for a few years now and ive often looked at them as a nice to have but can do without, that all changed this week when ISGLOVES asked me to do a review on their simple gloves from their touchscreen gloves range. The gloves themselves are fantastic with a perfect snug soft fit that keeps your hands warm even in the freezing cold winds Melbourne experienced last week. Unlike other touchscreen gloves the glove material has the capacitive technology woven directly into the fabric so there’s no need for fingertip touch pads. The only downside ive noticed is with sunlight directly on a Nexus 7 screen you do have to push a bit more firmly to get the contact to register (not overly) but a small price to pay for snug and warm hands. All in all these are something i would defiantly buy and have now been added to my cannot live without winter survival list.